I often change my skincare routine, especially coming into the Summer or Winter months as I find my skin changes. Right now I’m pregnant too (hence a lack of posts here, sorry about that!) so my skin has actually changed for the better! I used to suffer with hormonal acne around my chin/neck area, but that’s gone and I’m glad to see the back of it to be honest! My skin has taken to pregnancy really well and is just glowing at the moment. 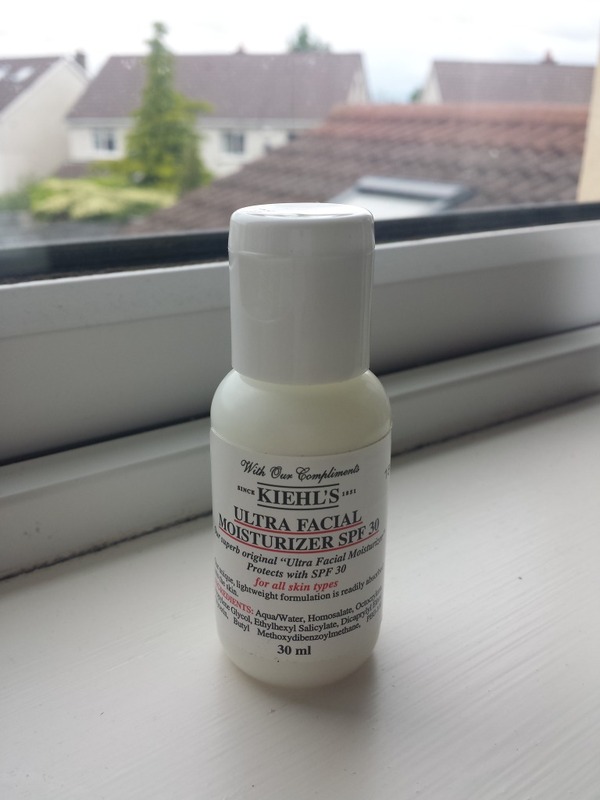 The only issue I have is pigmentation on my forehead and under my eyes so with the hot sunny weather, I wanted a good moisturiser with an SPF that would protect my skin and stop the pigmentation worstening. This is a gel cleanser that you use with water to cleanse your skin thouroughly and melt through any makeup. Now I was a bit sceptical about this because I’ve always only used cream cleansers with cotton wool to remove my makeup. Most other cleansers I’ve used with water have left my skin feeling dry and “stripped” of moisture. Not this one though, I wet my face and popped a tiny bit in the palm of my hand, lathering it up and applying all over my face in small circular motions. I then used a wet facecloth to remove the residue from my skin and it was left looking and feeling fresh and clean. 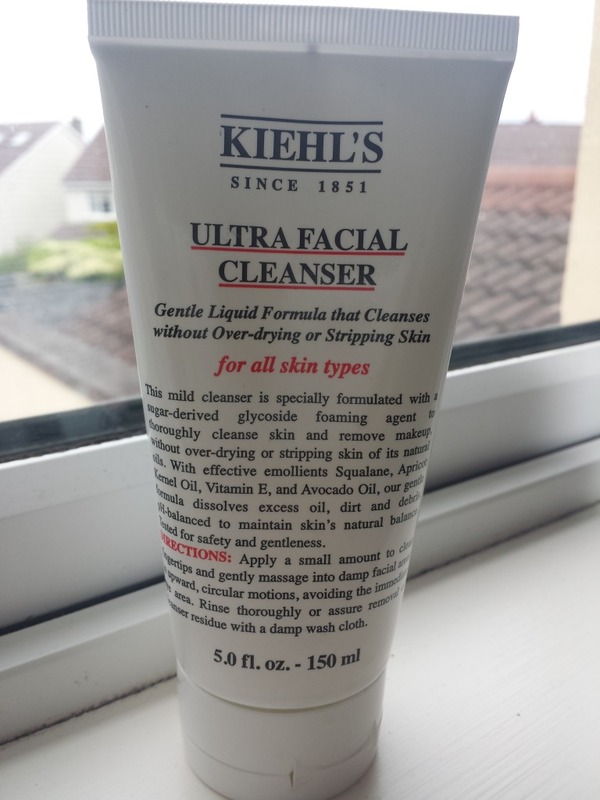 I am very impressed with this, it really is a great cleanser. You would need a separate eye makeup remover but this does a great job of breaking down makeup and grime on your skin. The only issue I have with this is the packaging it comes in, if you don’t close the lid properly, you can find a big blob of product has escaped as the tube stands upside down on its cap. This wasted a good bit of the product inside unfortunately so make sure you close the cap tight! I bought the cleanser and the toner but I wasn’t sure about the moisturiser that the SA suggested as it was quite thick and I wanted to be sure it would suit my skin so he very kindly gave me a sample of this moisturiser to use and to see how I got on with it. It was a very generous sample in fairness, 30ml which lasted me a good while! This is quite a thick forumla and you really have to work it into the skin but that’s because it comes with a high SPF of 30 which blocks out UVA & UVB rays, so perfect for summer days when you’re just going about your business. I have to say, if you are sunbathing or planning to be exposed to the sun for long periods of time, you should use a total sunblock with an SPF of 50+. This however, was perfect for me, I put it on under my regular foundation and it moistursed and protected my skin really well. It did make my skin a little shiny though and I had to make sure I set my foundation with powder otherwise it would have looked a bit too “greasy” but that wasn’t a problem for me. I would definitely purchase this as my moisturiser for the summer months. It’s just so handy not having to use a separate SPF to your regular moisturser. 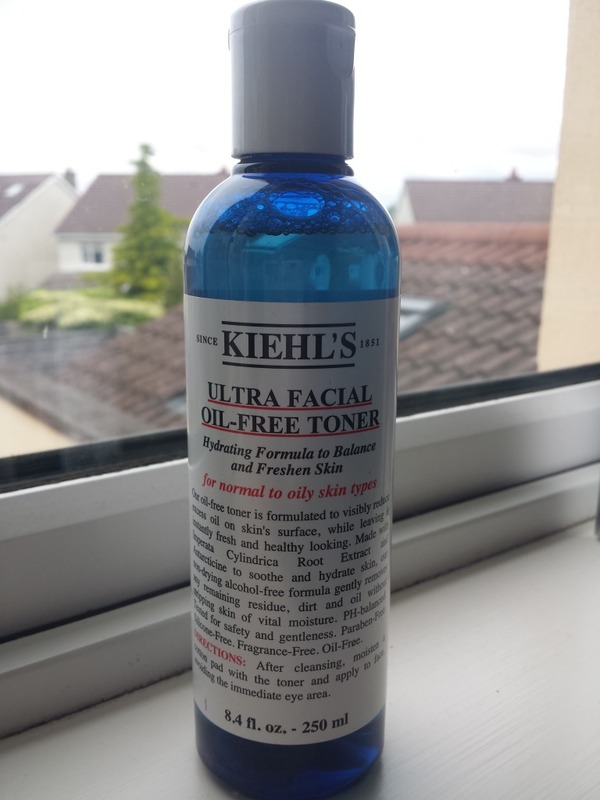 Overall, I’m loving Kiehls I must say. The sales assistants seem to be well trained and really know their stuff when it comes to skincare and they do a great skin analysis so you’re guaranteed to get the right products just for you and not waste your money on something recommended to you that doesn’t work so I’d highly recommend at least having the consultation and maybe picking up a few samples to try. I’m also loving the prices, they are a lot less than what I thought they’d be and the products are very generously sized so last ages which is fantastic! I also love the no fuss packaging of the products and obviously the fact that they really work, cater for a wide range of skin concerns and include a range for men too! Next postHey, I’m back, did you miss me?! I haven’t tried any of the mentioned products, but am defiantly adding them to my must try list! Congratulations on the pregnancy, how exciting.